The New Balance M990BB4 is from from their iconic running shoe series that just keeps getting better. The New Balance Mens M990BB4 Black-Black is from their iconic running shoe series that just keeps getting better. Still made in the USA and loaded with technology and rich in history, the M990v4 proves that you can improve upon a classic running shoe. Whether you’re already running five miles a day or just starting out, this American made shoe delivers serious comfort and performance. 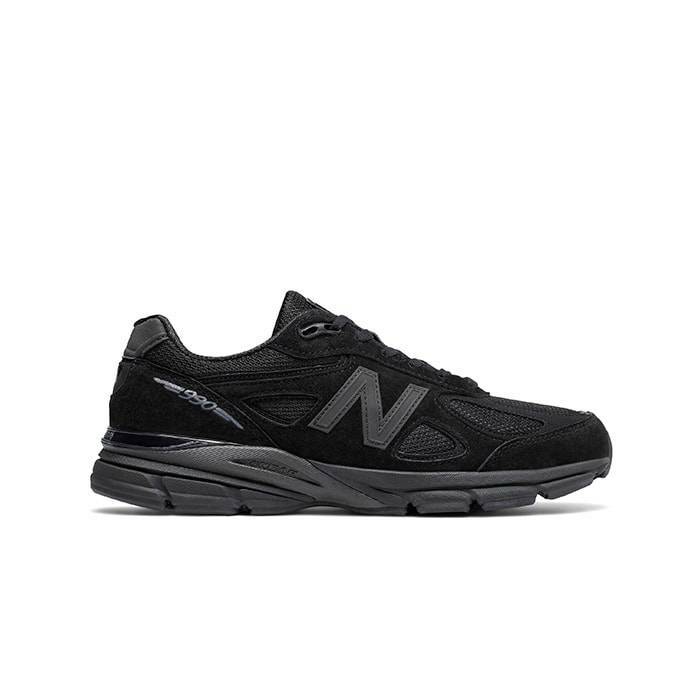 The upper of the New Balance Mens M990BB4 Black-Black is made from a combination of pigskin and mesh giving you a light weight, breathable running shoe. ENCAP® midsole technology paired with a blown rubber outsole provides support and maximum durability. The classic design combined with the reliable cushioning and support of the New Balance Mens M990BB4 Black-Black are sure to carry you comfortably every mile. The GENEXT Gal10 Athletic Lace is a great for those spending hours on their feet and require a customizable fit.